Study daily, 23 latest current affairs & news headlines in English with The Tutors academy. 1. Vidiadhar Surajprasad Naipaul, the Trinidad-born Indian-origin author and Nobel laureate known for his critical commentary on colonialism, religion and politics, died aged 85 on Saturday. Naipaul was born on August 17, 1932, in Trinidad into an Indian Hindu family. An Area of Darkness (1964), A Wounded Civilisation (1977), A Million Mutinies Now (1990) were few of his books. 2. The Indian Space Research Organisation (ISRO) will have an year-long Vikram Sarabhai centenary celebration starting in August 2019 to honour the visionary scientist and legendary founding father. In a few months’ time, it plans to roll out a dedicated ISRO TV channel, showcasing space applications, developments and science issues, targeting young viewers and people in remote areas in their language. Sarabhai, the architect of the Indian space programme, the first ISRO chief and renowned cosmic ray scientist, was born on August 12, 1919. 4. Titled Navika Sagar Parikrama, the voyage began from Goa in the first week of September last year and culminated in May this year. During the 254-day-long voyage, the six officers covered about 22,000 nautical miles, visiting five countries — Australia, New Zealand, Falkland Islands (U.K.), South Africa and Mauritius. 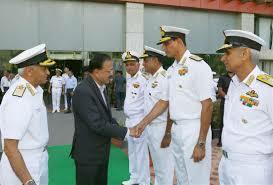 Apart from the Captain, Lt. Cdr. Joshi, the team included officers, Pratibha Jamwal, Aishwarya Boddapati, Patarapalli Swathi, Vijaya Devi and Payal Gupta. 5. Chhatrapati Shivaji Maharaj Terminus in Mumbai illuminated with golden lights on August 12 to commemorate 70 years of independent India’s first Olympic gold medal. On August 12, 1948, the Indian hockey team, led by Kishan Lal, an Indian Railways employee, won gold at the London Olympics. Another employee, Leslie Claudius, was also in the team. Get daily, 23 latest current affairs and news headlines, to crack all competitive exams with The Tutors Academy. 6. A small Indian satellite launch vehicle that was made in three days by a handful of people at about 10% of current costs looks set to revolutionise the global satellite launch industry. The SSLV (small satellite launch vehicle) is being developed at a furious pace at ISRO’s Vikram Sarabhai Space Centre. The SSLV will be an on-demand rocket for small satellites weighing about 500-700 kg. It will be autonomous and highly intelligent, versatile and capable of adapting to different launch situations and requirements. 7. The Delhi High Court order strikes down the Begging Act. What does the Begging Act do? It criminalises begging. It gives the police the power to arrest individuals without a warrant. It gives magistrates the power to commit them to a “certified institution” (read: a detention centre) for up to three years on the commission of the first “offence”, and up to 10 years upon the second “offence”. 8. Barack Obama was the 44th President of the U.S. in 2008. Donald Trump is 45th President of the U.S. This refers to a paradoxical situation where the offering of monetary incentives for the donation of human blood causes a fall in the actual number of donations. This is believed to happen because donors who previously donated purely out of their altruistic beliefs tend to no longer have enough altruistic incentive to continue donating blood when they are offered money in return for their donation. Critics, however, have argued that the offering of monetary incentives can actually increase the donation of blood as people willing to donate for money will more than offset the loss of altruistic donors. 10. 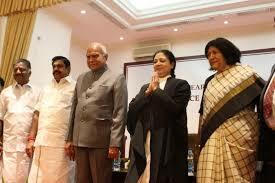 Justice Vijaya Kamlesh Tahilramani was sworn in as the Chief Justice of the Madras High Court by Governor Banwarilal Purohit at a ceremony at Raj Bhavan here on August 12. 11. No facility exists for training Navy crew on various aspects of damage control and firefighting in a submarine, the Comptroller and Auditor-General (CAG) has observed in a report. This is among a series of deficiencies in training noted by the federal auditor. In April 2014, INS Satavahana, the dedicated school for imparting all facets of submarine training, submitted a proposal to the submarine headquarters, indicating the requirement of a simulator to train in damage control and firefighting. “The proposal has, however, not yet been approved by the competent authority,” the CAG said in the report tabled in Parliament last week. 12. Over 400 families living on the famed tea estates in Sri Lanka on August 12 took possession of their new houses built with Indian assistance. The construction of the homes is part of India’s commitment to build 4,000 homes in the island’s central highlands that is home to Malayaha Tamils. 13. The Army is finalising a long-pending project for indigenous production of specialised clothing, sleeping kits and key equipment for soldiers deployed in the Siachen glacier. India spends ?800 crore a year on the import of extreme cold weather gear for soldiers, according to official data. 14. The Railway Ministry has asked drivers to hit the top permissible speed only if trains are running late, instead of trying to speed throughout the journey, a source in the Ministry said. The new directive replaces an order issued in 2000 in which the Ministry said that trains should run at the maximum permissible speed even when they are on time. 15. Steps have been taken to prevent malfunctioning of paper trail machines, Chief Election Commissioner O.P. Rawat has said. “A small hood was installed on the sensor so that even if it comes under direct light, it would not malfunction,” he said. Also, humidity-resistant paper rolls will be used. The move comes after many machines failed in the recent bypolls. 16. PVR Ltd. will buy a majority stake in SPI Cinemas, south India’s largest cinema chain and owner of the iconic Sathyam Cinemas in Chennai, in a deal valued at ?843 crore. 17. Viraj Madappa won the TAKE Solutions Masters trophy with a four-under 67 final round on August 12. The maiden Asian Tour title also made him richer by $63,000. Madappa became the youngest Indian to win on the Asian Tour, beating the record held by Gaganjeet Bhullar who won the Indonesia Invitational when he was 21. 18. World No.79 Rhustavito defeated the 93rd rank Jayaram 21-14, 21-10 in 28 minutes to win the title at the Nguyen Du Cultural Sports Club. Indian shuttler Ajay Jayaram lost to Indonesian Shesar Hiren Rhustavito in straight games in the final of the $75,000 BWF Tour Super 100 badminton tournament. Study daily, 23 latest current affairs & news headlines in English from The Hindu with The Tutors Academy. 19. Young Indian IM P. Iniyan caused a flutter, defeating highly rated Grandmaster Sjugirov Sanan in the fifth round of the Abu Dhabi Masters. 20. Spain centre-back Gerard Pique confirmed that he had ended a glittering international career on Saturday, saying that the appointment of his former Barcelona coach Luis Enrique would not change his mind. The 31-year-old made the last of his 102 international appearances in Spain’s World Cup last-16 loss to Russia. 21. Justice Kalpesh Satyendra Jhaveri was on August 12 sworn in as the Chief Justice of the Orissa High Court. 22. Congress Rajya Sabha MP Husain Dalwai has moved a statutory motion to quash the Temporary Suspension of Telecom Services Rules, 2017, which allow for temporary shutdown of Internet services in case of “public emergency or public safety”. ISRO Chairman – K. Sivan. Meaning – Showing a disinterested and selfless concern for the well-being of others; unselfish.